LinkedIn has denied that its search algorithm has been biased towards suggesting male versions of female names in searches on its website. A Seattle Times investigation found searching for "Stephanie Williams" on the professional networking service would trigger a prompt for "Stephen Williams" instead, for example. At least a dozen of the most common female names in the US were affected. LinkedIn has updated its algorithm to avoid proposing alternative names. Prior to the update, searches for 100 of the most common male names in the US did not result in prompts suggesting female versions of those names, the Seattle Times said. "Suggestions of similar spelt names that are frequently searched for on LinkedIn will follow the search query," said a LinkedIn spokeswoman. "The search algorithm is guided by relative frequencies of words appearing in past queries and member profiles, it is not anything to do [with] gender." A fix had been rolled out to "explicitly recognise people's names" so that alternative names - of the same or a different gender - would not be proposed, she added. 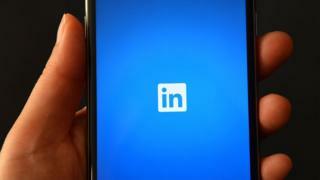 Microsoft announced that it would purchase LinkedIn for $26.2bn (£19.6bn) in June. Social network algorithms have faced much scrutiny over alleged hints of bias recently. Last month, Facebook overhauled its Trending feature - which recommends online content to users - after some complained that it was biased towards left-wing stories.